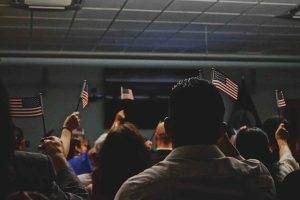 In Oceanside and throughout much of Southern California, many nursing homes and assisted-living facilities are staffed by immigrants who are residing in the country under Temporary Protected Status (TPS), according to a recent article in the Los Angeles Times. What is the connection between nursing home staff members working in the country under TPS and risks of nursing home negligence? In short, as the article contends, the Trump administration’s targeting of immigrants could result in significant nursing home staff shortages in California in particular. As a report from the Urban Institute for the U.S. Department of Health and Human Services (HHS) explains, maintaining a staff-to-resident ratio at skilled nursing and assisted-living facilities is essential to prevent unintended nursing home neglect. Approximately one million immigrant workers in the country are staffed in senior care facilities, some as certified nursing assistants or as personal care attendants. Given that there is already a shortage of workers in nursing homes and assisted living facilities throughout California and the U.S. more generally, the loss of thousands of additional workers due to shifts in immigration law could have devastating results for elderly residents who rely on fully staffed facilities. What are the staffing requirements in California? In general, the California Health & Safety Code requires nursing homes in the state to have adequate staff numbers to meet the needs of the residents. More specifically, each skilled nursing facility must provide at least 3.2 hours of nursing care for every resident in the facility each day. Under federal law, nursing homes needs to have a registered nurse on duty for at least eight hours every day, seven days per week. In addition, nursing homes are required to have a licensed nurse—either an RN or an LPN—on duty 24 hours per day. Without adequate staffing, residents can sustain serious injuries as a result of neglect. If you have questions or concerns about a senior’s safety in a skilled nursing facility, an Oceanside nursing home neglect attorney can help with your case. Contact the Walton Law Firm today to speak with an advocate.